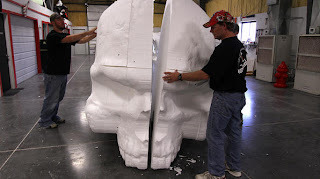 I have never how people make some of the Haunted props that are used at Halloween attractions but they are so cool. My family and I always go on a Haunted hayride during Halloween because it really puts us in the Halloween spirit. We try to visit new attractions every year but Haunted Hayrides in NJ are always a good time because they are so scary. Their costumes and props are so realistic.